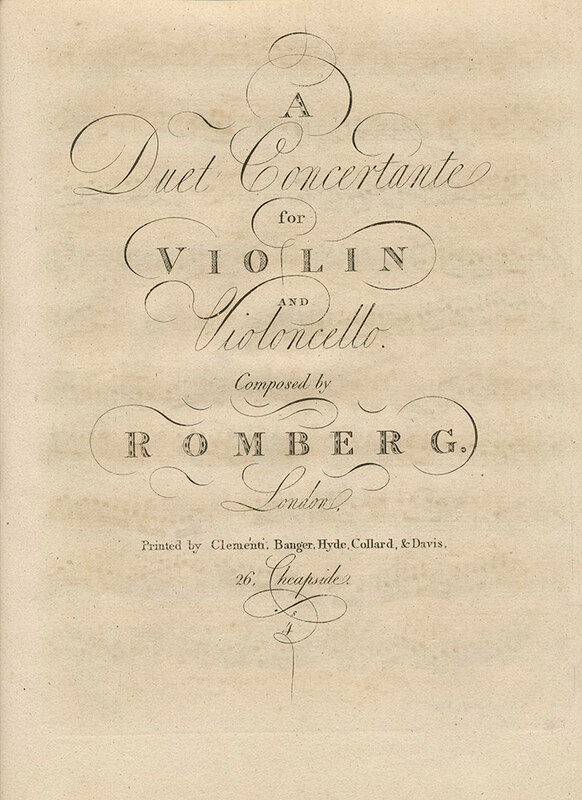 Romberg: A Duet Concertante for Violin and Cello in B-flat Major. 1810 edition (parts only) and modern performing edition, score and parts. Cellist Bernhard Romberg (1767-1841) and his cousin violinist Andreas Romberg (1767-1821) were known to write works together. As this title page simply says “Romberg” I believe this Duet is by both. It opens with a sonata form first movement, and the second movement is marked Alla Pollacca. There is another modern edition of this Duet, but not with facsimile included.